The 2/12 edition (2nd quarter 2012) of the BMW Clubs International Council Newsletter is now online as a PDF at the Council's website. Munich. Edgar Heinrich (53) will be taking over the BMW Group's BMW Motorrad Design Studio as of July 1st 2012. He succeeds David Robb. After completing his university degree in design, Edgar Heinrich started his career as a motorcycle designer with BMW back in 1986. The latest edition of the BMW Clubs International Council Newsletter is available online as a PDF at the Council's website. This issue introduces a new look, as well as interesting news about the Council's meeting in New Zealand and a new BMW motorcycle museum in Brazil! BMW AG has recognized the VBMWMO's new magazine, Classic BMW Motorräder, on their website! 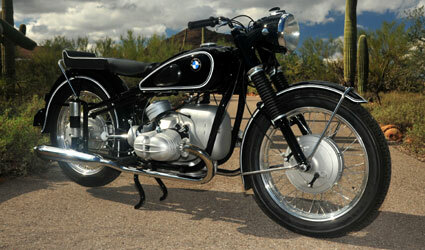 Follow this link to see BMW's enthusiastic write up.